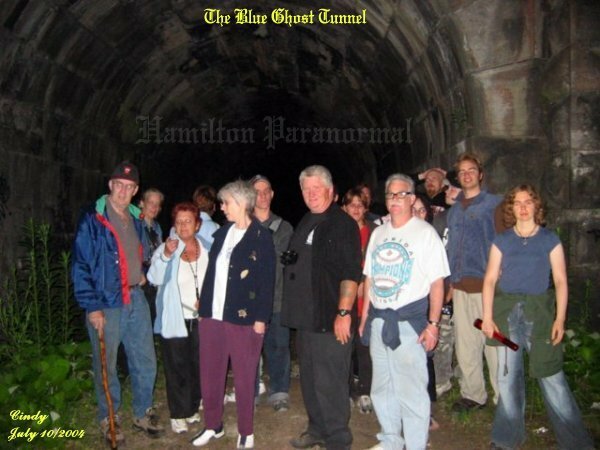 We had our big meet and it was decided to go to the Blue Ghost Tunnel for an investigation. We had a total of nine cars that followed us out to the tunnel. 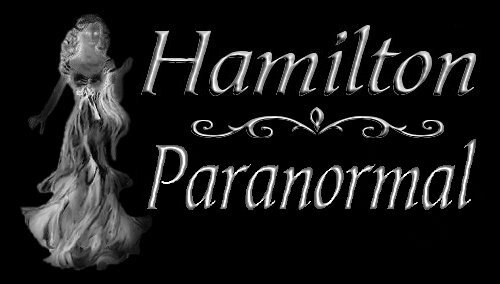 It has been awhile since we were out there last and everyone in attendance were great folks looking forward to this investigation. Pictured above is a group shot of most of the folks that came out this night with us. Everyone had a great time and some wanted to come back to the tunnel in the future. Upon our arrival the gate was open and we went on in and parked our cars down by the mound. Everytime we go to the tunnel it seems to get further and further away. The walk is well worth it once you reach the tunnel. 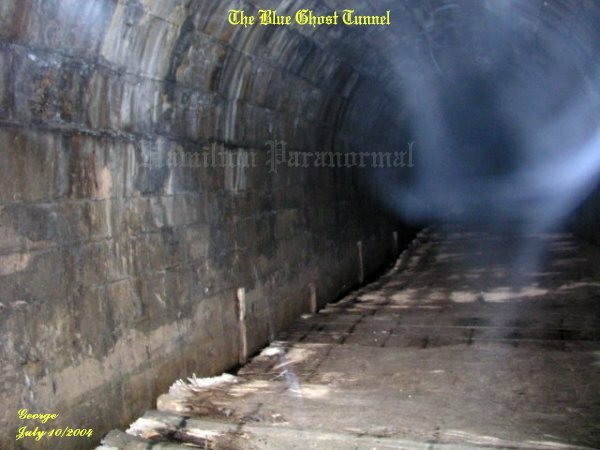 The tunnel still stands alone with a menacing look and feel to the area. Some of the folks that reached the tunnel were afraid to go inside and some folks left a short time later. Above is a picture of an energy form that had a lot of energy to it, within the tunnel. 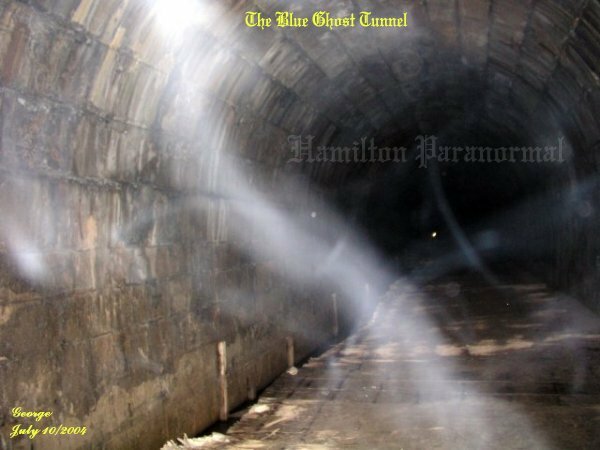 It appeared as though it was traveling along the ground of the tunnel and the temperature had fallen at the time this picture was taken. 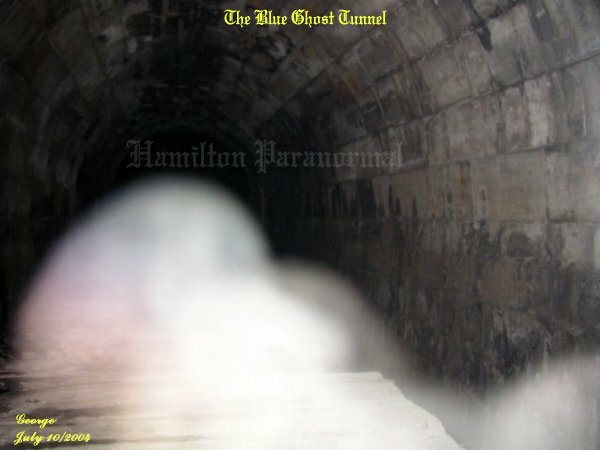 Some spirit energy in ecto plasm string form within the tunnel. This shot was a strange one, showing some energy that seemed to have risen from the floor of the tunnel. 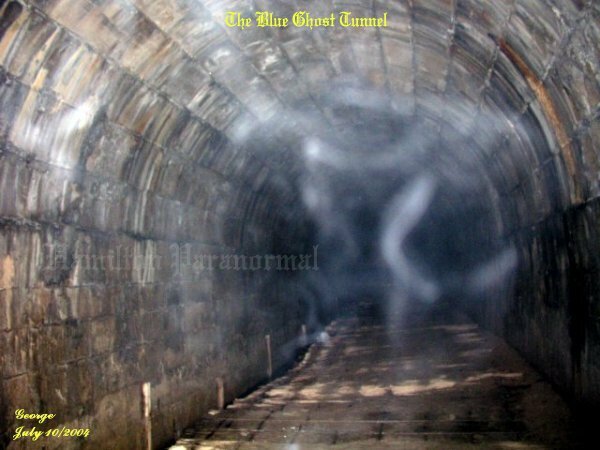 More ecto plasm string form energy within the tunnel. 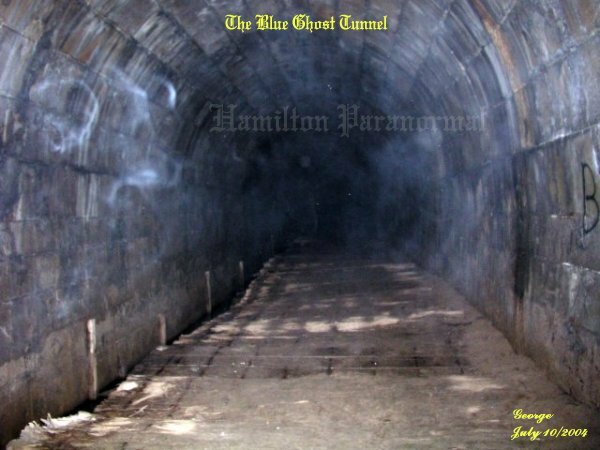 Looking at the left side of the tunnel there seemed to be a dog's head emerging from the wall of the tunnel in ecto plasm form.